Consolidation in South African's platinum mining sector continued on Friday with Lonmin's decision to buy Amplats' stake in the Pandora platinum mine. According to a press release from Lonmin (LON:LMI), the world's third largest platinum producer, the company will pay between 400 million and 1 billion rand for Amplats' 42.5% stake, thereby giving Lonmin a 92.5% stake in the project. Northam Platinum (JSE:NHM) would be left with a 7.5% stake. Lonmin will pay for the acquisition with 20% free cash flow generated from the Pandora mine over the next six years, with the final price dependent on platinum prices. The Pandora mine is currently a joint venture between Lonmin's subsidiary Eastern Platinum Limited (EPL), Anglo American Platinum (Amplats) through Rustenburg Platinum Limited, and Northam Platinum. It accounts for 5% of Lonmin's production. "The acquisition of AAP’s 42.5% stake in the Pandora JV allows Lonmin to consolidate its position in this relatively shallow and high-grade mineral resource providing an attractive option for development by EPL in both the short and longer term. The Pandora JV area, which is contiguous with our existing EPL operations, relies on Lonmin’s mining and processing infrastructure and is already operated by EPL. The Pandora JV contributed 37,553 Platinum ounces(74,019 platinum group metal (“PGM”) ounces) to Lonmin in the 2015 financial year," Lonmin states in the PR. Reuters reported the transaction will "[bring Amplats] closer to its goal of offloading its labor intensive mines to focus on mechanized mines." It's the second arrangement made between major South African platinum miners in recent weeks – evidence of the troubled South African platinum industry as miners struggle to meet labour demands from unions representing workers who mine the precious metals in some of the deepest and difficult conditions in the world. 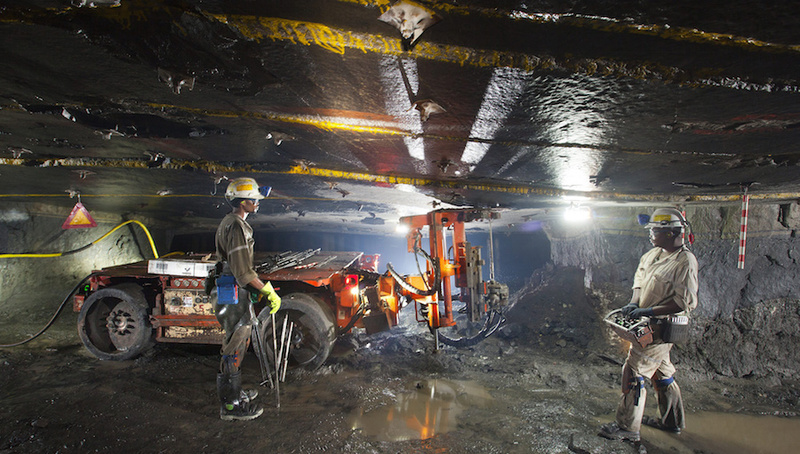 On Oct. 11 Northam Platinum agreed to buy a mining right from Anglo American Platinum for 1 billion rand, which will enable it to extend the life of its Zondereinde mine, the world’s deepest platinum mine, beyond 30 years. This will be possible, said Northam, because part of Amplats’ Amandelbult mining right is contiguous with the north-western boundary of Zondereinde. Last week Amplats completed the sale of its Bathopele, Siphumelele and Thembelani mining operations to Sibanye Gold (NYSE:SBGL). Sibanye paid 1.5 billion rand for the mines upfront, along with two concentrating plants, a chrome recovery plant, and a tailings facility.